Let everyone see your amazing Notebook designs by promoting them on actual notebooks! It's easy, Placeit has a ton of cool mockups that are super customizable. Your design will be the first thing people see, so what are you waiting for? Edit your Notebook mockups now. Boost your brand reach today with attractive visuals! 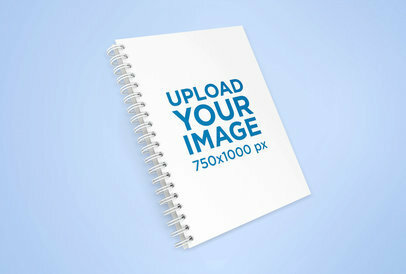 Check out any of Placeit's notebook render mockups and promote your designs in a professional way. 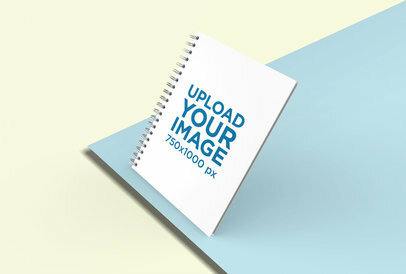 This mockup shows a spiral notebook floating on a bicolor minimalist environment, just what you need to display a unique notebook design to your audience. 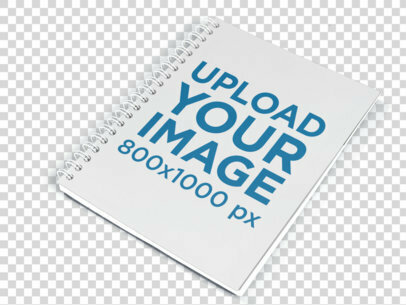 Start right now using any of Placeit's notebook render mockups and take your brand right where you want it to be. 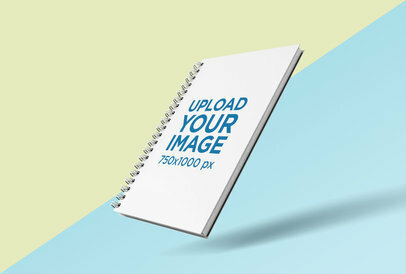 Promote your notebook cover designs right now with Placeit's attractive mockups! Try this render featuring a spiral notebook floating solely over a plain background, clean and simple. Check out all of Placeit's render mockups right now and find the one that fits your needs to advertise your brand! Get your brand seen by everyone with PlaceIt's imposing visuals! 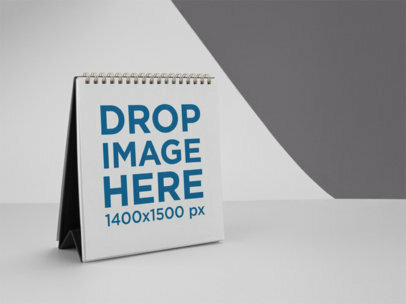 Try this render mockup featuring a notebook leaning against a flat background, a really cool and minimalist way to promote your designs. Go look through all of PlaceIt's amazing smart mockups and find the one that fits your need the best to improve your POD website! 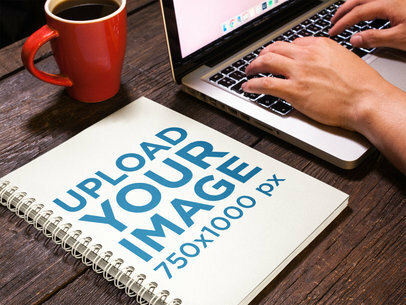 Start boosting your brand reach right now with Placeit's render mockups! This one features a spiral notebook floating over a multicolor environment, just what you need to promote your designs in a clean and professional way. Find the right notebook mockup and improve your POD website today! Start promoting your notebook designs online with appealing visuals. 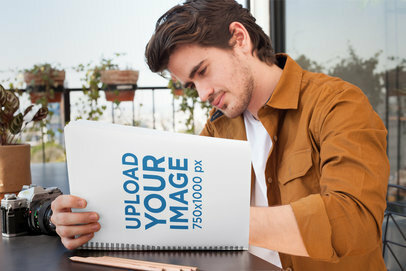 Try Placeit's notebook render mockups and expand your audience right away. This mockup portrays a spiral notebook floating over a minimalist and customizable background, a perfect angle to display your awesome notebook design to your customers in a professional way! 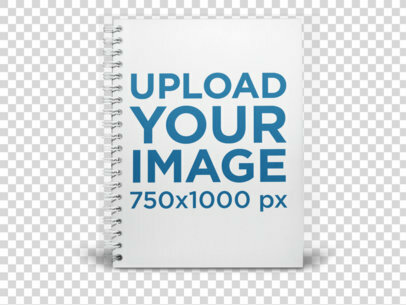 Use this or any of Placeit's notebook mockups to boost your brand in no time. 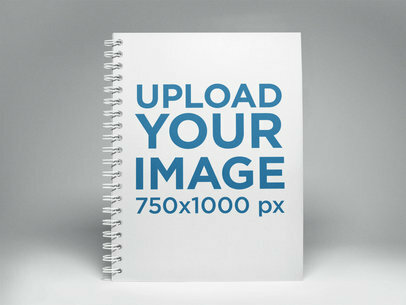 Advertise your notebook designs in a professional way with Placeit's amazing mockups! Just like this render mockup featuring multicolor cardboards, you can find tons of notebook mockups by Placeit to boost your brand reach since day one. Check them all out now! 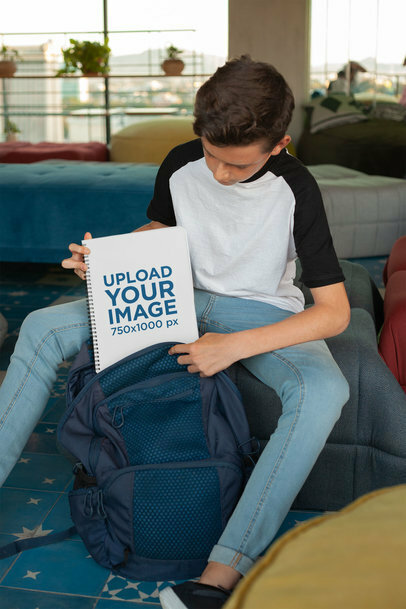 Create an amazing visual of a young boy carrying a spiral notebook with your design on it using Placeit's mockups! This cool image is an excellent choice if you want to promote your printed design of a notebook with a spiral using a photorealistic image that will surely attract your customers' attention more than ever! 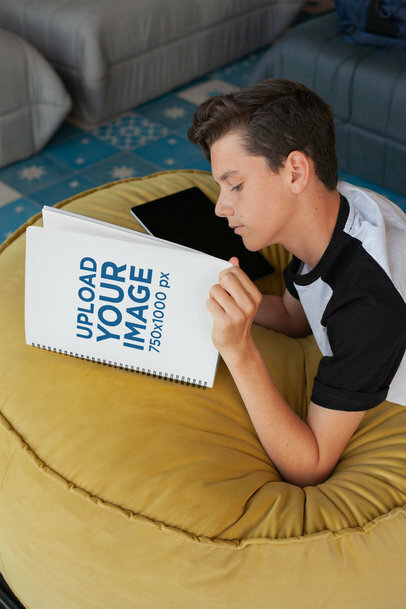 Create an amazing visual of a boy reading while lying over a mustard bean bag using this cool mockup from Placeit! Displaying your notebook designs was never as easy with gorgeous visuals from Placeit that will help you out. Make your revenue grow with cool images that will show your designs in a more realistic environment! 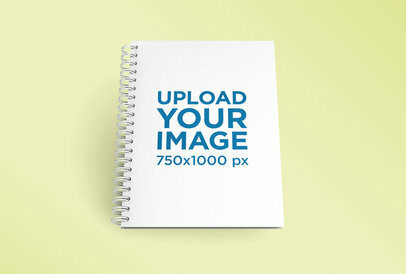 Promote all your Notebook designs with Placeit's print mockups. It's easy, just edit the settings to your style. With professional visuals, you will increase the traffic to your website and improve your brand's image. Try it out, it's easy. 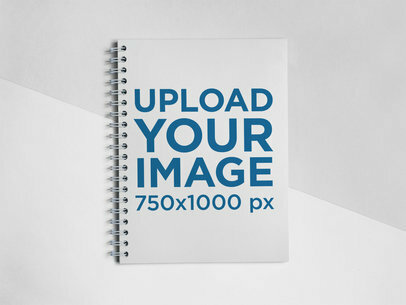 Edit your Notebook mockup now. Promote your amazing notebook designs for students, parents, and more. Placeit's print mockups are super easy to use and don't require any additional software. Try it out, just customize the settings to your style. Are you a designer looking to engage your audience with your notebook cover designs? 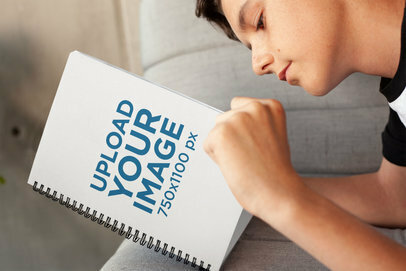 Try out this notebook mockup featuring a boy holding a spiral notebook at home, this is a great scenario to showcase your personalized notebook covers in an attractive way. 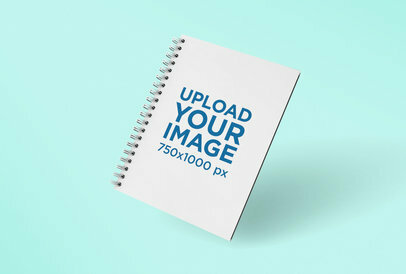 Improve your marketing strategy right away with notebook mockups from Placeit, try it now! Made some cool notebook designs? 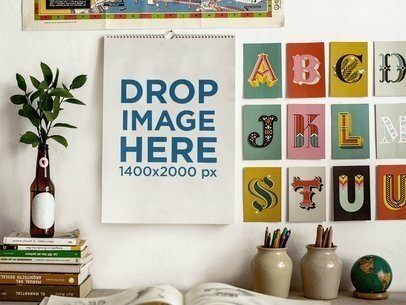 Promote the with Placeit's print mockups. 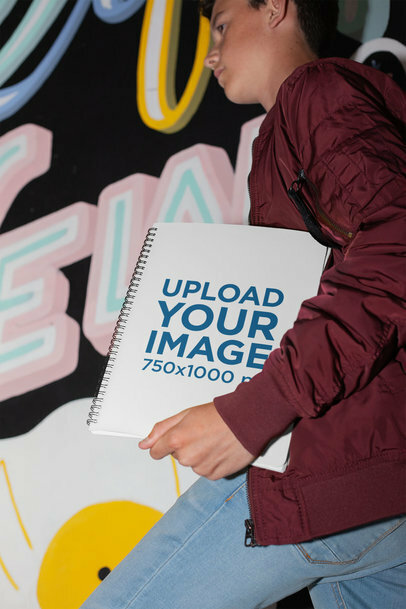 Your design will be front and center on an actual notebook! It's super easy to use, try it out, you can even change the notebook's color. Cool, right? 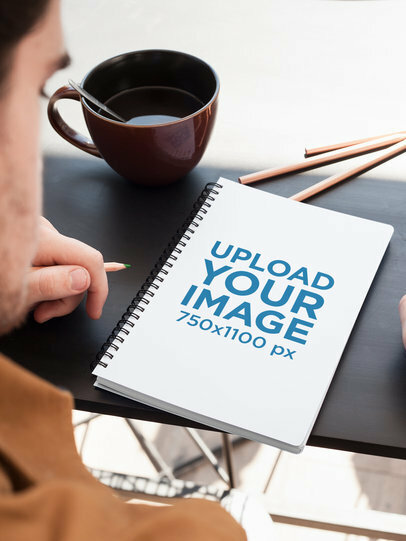 Edit your print mockup now. 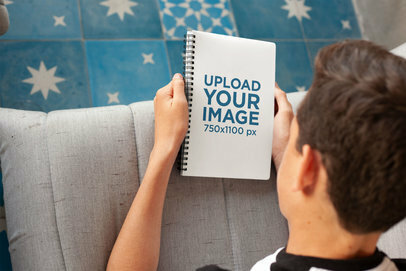 Get even more people to see your awesome Notebook designs with Placeit's print mockups. Our mockups are made to fit anyone's needs. The best part of all, they're super customizable and you have a ton of mockups and models to choose from. You can even change the notebook's color! Try it out now, it's easy. Are you looking to promote your latest spiral notebooks designs with gorgeous visuals without the hassle of hiring all the people involved or hiring a graphic designer? Use Placeit's spiral notebook mockups! 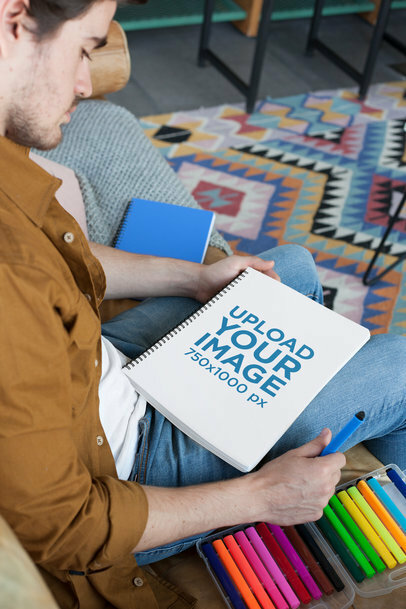 They are the best thing you could ever use, not only they're super easy to use, they are also professional images that will give your brand a boost. Create an amazing visual to promote your latest designs for spiral notebooks using Placeit's notebook mockups! 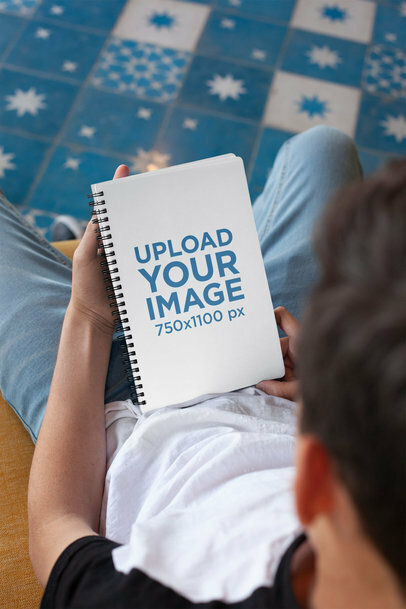 Start now, use this gorgeous mockup featuring a photorealistic image and make your revenue grow by showing your designs in a more relatable environment to your audience. 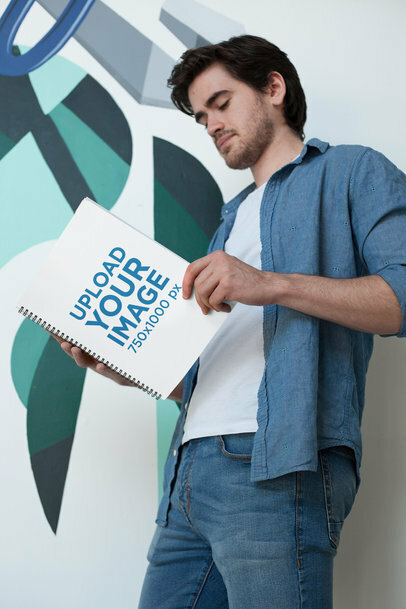 With Placeit's Notebook mockups, your design will be the first thing people see! It's super easy, just edit the settings to your style and you'll be ready to post in no time. You won't have to download any additional or complicated software. 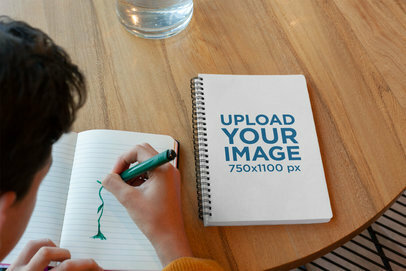 Try it out, edit your Notebook mockup now. 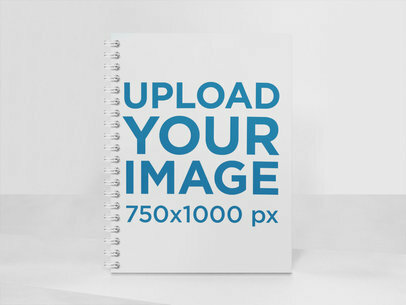 Promote your Notebook designs and increase your audience. Placeit has a ton of cool mockups that are super customizable. This one will showcase your design front and center and will provide a fun but professional look to your design. Try it out, your notebook designs will look amazing. Promote your cool Notebook designs on an actual Notebook! How? With Placeit's super easy to use print mockups! It's easy, just edit the settings to your style and you'll be ready in no time. You won't even need to hire a graphic designer or download any additional software. Try it out now. Got some cool notebook designs? 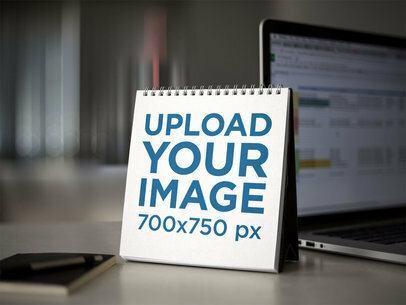 Show them off with Placeit's easy to use print mockups. We create mockups that feature the best models, locations, settings, and more. 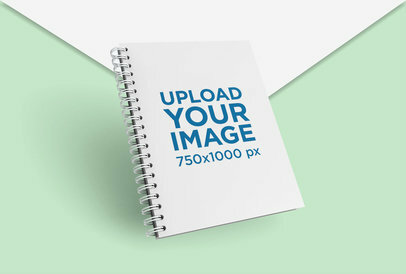 This mockup is customizable and you can even change the notebook's color. Try it out, it's easy! Got some cool notebook designs? Start promoting them with Placeit! Our mockups are super easy to use and don't require any additional software. Try it out, it's easy. Edit your notebook mockups now. 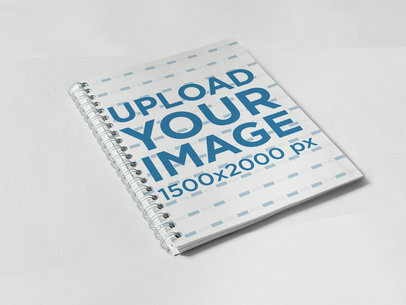 Use Placeit's Notebook mockups and start promoting your designs! It's easy, fast and fun. Our mockups don't require any additional software. You won't even need to hire a graphic designer, you can do it all on your own. 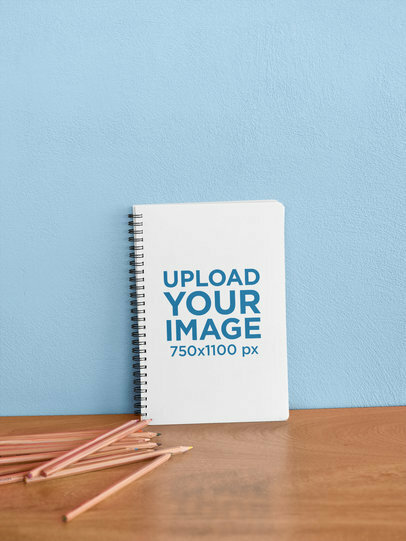 Edit your Notebook mockup now! Get creative with your notebook designs by promoting them on actual notebooks! It's easy, Placeit gives you everything you need to customize your mockup and start getting your designs out for your audience to see. Try it out, your design will be front and center. Edit your Notebook mockup now. Placeit has some amazing Notebook mockups just for you! Your designs will be the first thing people see, and best of all, they're super easy to use. Just customize the settings to your liking, you can even change the notebook's color. 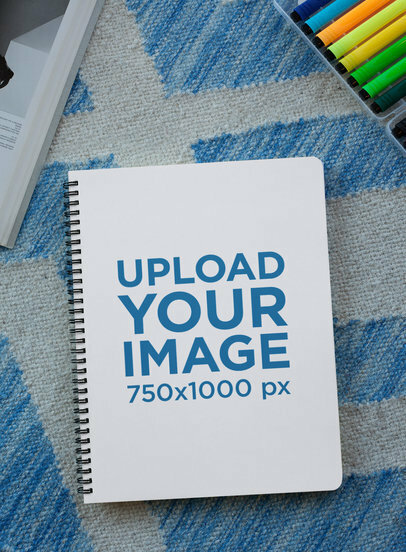 Try it out, edit your Notebook mockup now. Looking for creative ways to promote your notebook designs? Why not promote them on actual notebooks? Placeit has mockups that are super easy to use and don't require any complicated or expensive software. Try it out now. 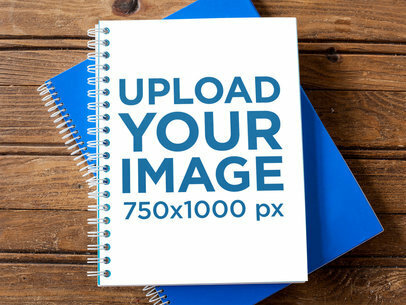 Edit your notebook mockup and show off your designs. Promote your beautiful Notebook designs on an actual notebook! Placeit has the perfect mockups for you. Our mockups feature the best models, locations, trends, and more. Try it out, customize the settings to your liking. Edit your Notebook mockup now. Have a look at this gorgeous and essential mockup of a spiral notebook standing on a transparent surface. Isn't it a beautiful and versatile image? Start using it to promote your designs in a creative and convenient way! All you have to do is drag n' drop a jpeg or png file on the interface, we will merge it for you in just seconds. Try another Notebook Mockup here! Check out this awesome spiral notebook lying near a laptop being used, there's also a cup of coffee and everything's on a wooden desk. Start now dragging and dropping your image file on the interface, it'll be merged in just seconds! Try another Notebook Mockup here! 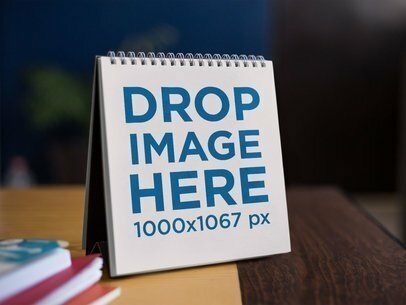 Check out this beautiful template of a spiral notebook lying on a transparent background, it's a really useful image that will help you promote your brand or designs in a creative and professional way. Start now, all you need to do is drag-and-drop your image file on the interface, we will merge it for you in just seconds. Try another Notebook Mockup here! Take a look at this beautiful mockup of a spiral notebook lying on a two colors surface, it's a great choice if you are looking to promote your latest designs in a creative and beautiful way. Start now dragging and dropping an image file over the interface, it'll be processed in just seconds. Don't forget to choose a background colors combination from the menu on the right. Try another Notebook Mockup here! 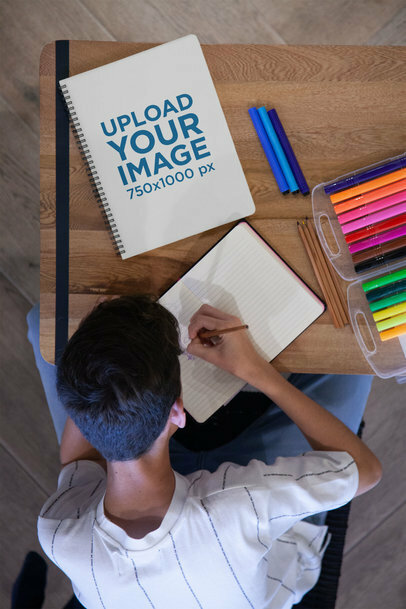 Check out this awesome mockup of a young hispanic student looking at a notebook with a backpack near her, it's a really cool visual asset that will help you build a much stronger image marketing. Use it now and make your revenue grow! All you have to do is drag-and-drop an image file on the interface, we will process it for you in just seconds. Start using this spiral notebook template to showcase your designs and promote your ideas in a smart way now! Placeit has tons of different kinds of templates that will help you build a better image marketing. Drag-and-drop your image file on the interface, we will merge it for you in just seconds. Amazing, right? Try another Notebook Mockup here! Take a look at this beautiful mockup featuring a frontal shot of a spiral notebook standing on a multicolor room, it's a gorgeous visual that'll help you build a much stronger image marketing! All you have to do is choose the colors for the background with the menu on the right, then upload your image using the menu on the left. Easy, right? Try another Magazine Mockup here! 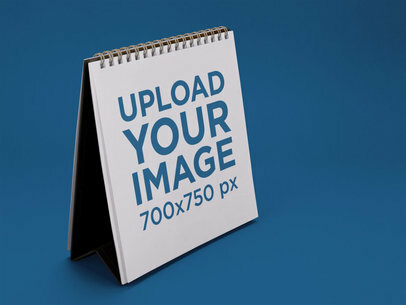 Start promoting your latest design using Placeit's mockups! This one features an angled spiral notebook lying on a three colors surface, it's great! All you have to do is upload your design, remember to customize the image choosing the three colors for the background. Amazing, right? Showcase your ideas with a beautiful and professional picture from Placeit. Try another Notebook Mockup here! 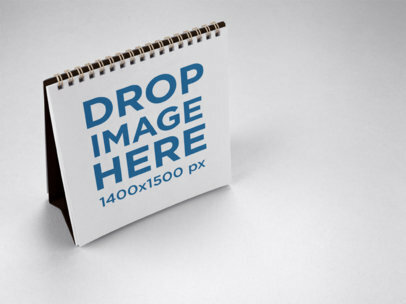 Check out this awesome mockup of a calendar standing on a solid surface, it's a gorgeous visual that'll help you boost your sales! Just drag-and-drop a jpeg or png file on the interface, we will merge it for you in just seconds. Use Placeit and sell more! Take a look at this awesome mockup of a calendar on a bicolor wall, it's a gorgeous visual that'll help your income grow! You just have to drag-and-drop a jpeg or png file on the interface, we will merge it for you in just seconds. Try another Calendar Mockup here! 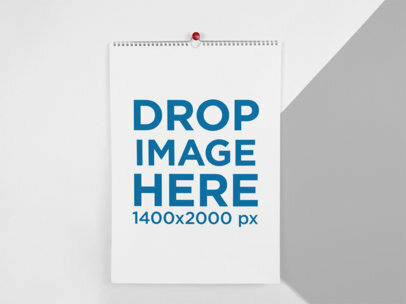 Take a look at this awesome mockup of a calendar on a bicolor wall, it's a gorgeous visual that will make your income grow! Start using it and make more conversions. Just drag-and-drop an image file on the interface, we will merge it for you in just seconds. Choose a combination of colors in the right menu and boost your sales! Try another Calendar Mockup here! 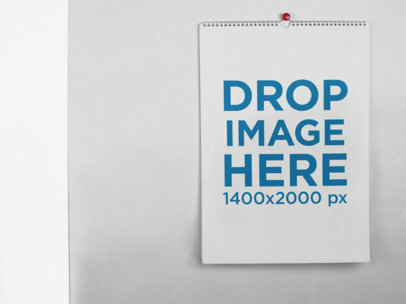 Take a look at this awesome mockup of a calendar on a wall with two colors, use it and make your revenue grow! All you need to do is drag-and-drop a jpeg or png file on the interface, we will merge it for you in just seconds. Start using Placeit now and make your revenue grow! Try another Calendar Mockup here! Take a look at our beautiful visual assets! This one features a spiral calendar standing on a solid color surface, choose the color that you like the most. 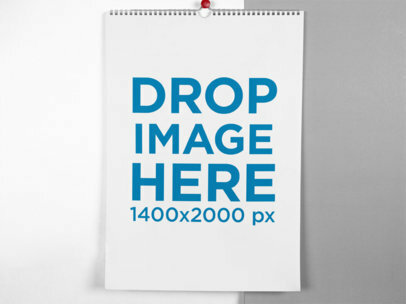 All you have to do is drag-and-drop a jpeg or png file on the interface, we will merge it for you with the calendar. Isn't it great? Such an easy-to-use and results-oriented tool in the palm of your hand. Try another Calendar Mockup here! Check out this awesome template of a spiral calendar standing near a laptop, it's a really awesome template that you can use to make your designs stand out. Start now by dragging and dropping your image file on the interface, we will merge it for you in just seconds. Try another Calendar Mockup here! Have a look at this beautiful image of a vertical calendar on a decorated wall, it's everything you need if you are looking to make an extra amount with your designs! Use Placeit's beautiful images and captivate your audience to a deeper level. Drag-and-drop an image file on the interface, it'll be automatically merged in just seconds. Try another Calendar Mockup here! Have a look at this calendar standing on a wooden desk, it's a really awesome image that'll help you make your designs stand out at a glance! What are you waiting for? All you need to do is drag-and-drop a jpeg or png file on the interface. We will merge it for you in just seconds. Amazing, right? Try another Calendar Mockup here! 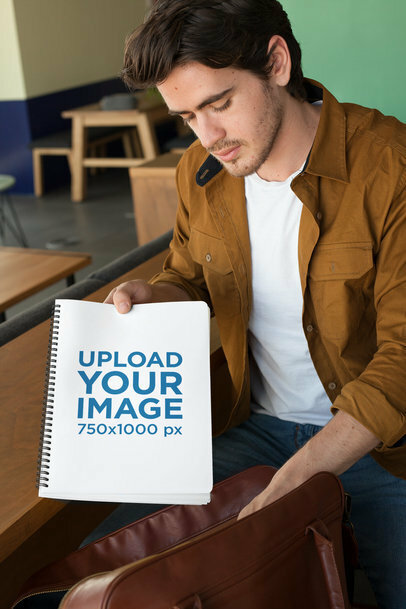 Check out this awesome mockup of a spiral notebook lying over another blue notebook while on a wooden surface, it's a really good image that'll help your brand sell more! Drag-and-drop an image file on the interface, we will merge it for you in just seconds. Use Placeit and make more money with your designs! Try another Notebook Mockup here! 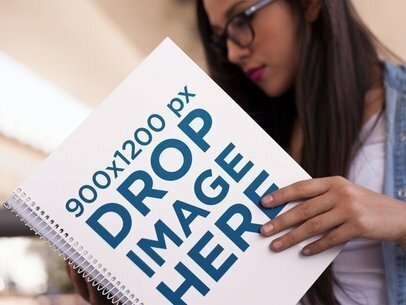 Have a look at this awesome mockup of this focused hispanic girl reading a spiral notebook while at the city, it's a really awesome image that'll help you build a better image marketing. Drag-and-drop an image file on the interface, we will merge it for you in just seconds. That's right, that's all you have to do! Try another Notebook Mockup here!